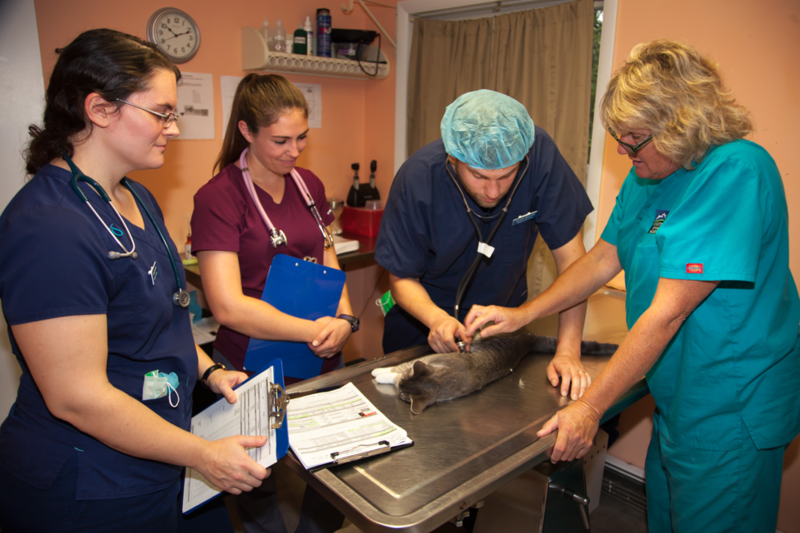 Students get hands-on experience assisting in surgery, recovery, and preparing patients for spaying/neutering. October 24, 2018 – Stone Ridge, NY – SUNY Ulster students get hands-on experience assisting in surgery, recovery, and preparing patients for spaying/neutering at the Ulster County SPCA. Pictured, from left to right, are Nicole Rapoli of Newburgh, Cassandra Stokes of Montgomery, Dan Howard of Stone Ridge, and SUNY Ulster Professor Beth Alden, DVM.